When wanderlust strikes, it’s nearly impossible to shake. Your soul grows restless; you need to get out there. Can you hear the beaches of Thailand calling your name? Maybe you spend your 8am lecture daydreaming about Patagonia. There’s so much you want to see and experience but one peek into your bank account and you’re back to living vicariously through those travel bloggers on Instagram. Going on that adventure you’ve always dreamed of can seem like an impossible undertaking on a student’s income. Well my friend, today’s the day you learn how to make it work. 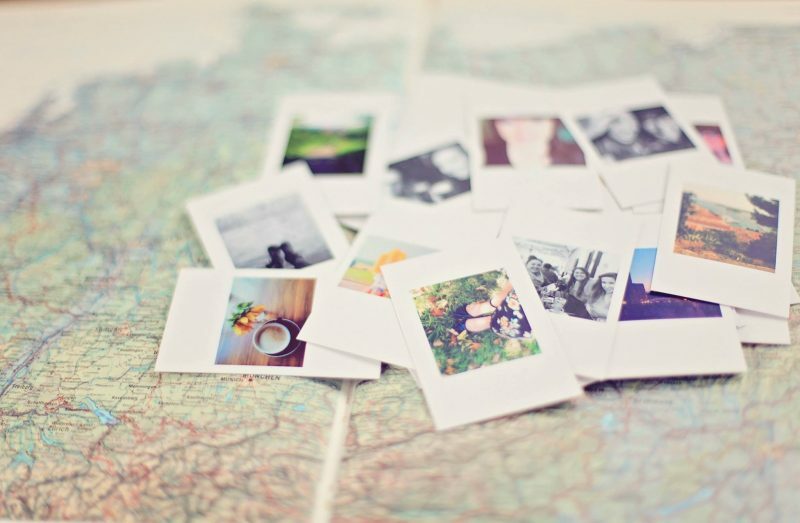 Here are 10 tips for traveling on a budget. Preparation can make or break your trip. Sure, throwing together a plan last minute has indeed been done before. But you’ll save yourself a lot of trouble if you start to detail out your trip at least six months in advance. This gives you ample time to save up money and book a cheaper plane ticket. Do you have a budget? Or are you in more of a check-my-bank-account-with-one-eye-closed situation? As daunting as it may be, you need to have a budget in place to fund a trip. Luckily, there are plenty of tools online to get you started. Yes, there’s even an app for that. Gasp! I know, I know. Coffee is the only thing that stands between you and insanity some days. But what I’m really saying is, you need to really take stalk and limit your unnecessary spending. Maybe that means making your own drip coffee at home. Or it could mean spending less on your trips to the grocery store. If you want to make this trip happen, you can go without your favorite artisan chips for a little. Remember, every penny counts! Eating adds up quickly when you’re traveling. Save while dining out by exploring your destination’s city-specific Groupon page. About a month ago while visiting North Carolina I was able to save close to half off every meal I had with the Things To Do In Greensboro page. Now I use the one back home in Phoenix too! The process of planning an entire trip is intimidating, especially if this will be your first time out of the country. Most colleges provide the opportunity to gain some credits while traveling. And if your school doesn’t, there are plenty of third party programs you can apply to. Study abroad is a great way to give your trip structure and purpose. Plus, you might be able to use grants or student loans to help pay for it! Summer is a great time to travel. But that’s what everyone else is thinking too so things can get a little pricey. Consider going on your trip in the winter. And if that isn’t a possibility, book your ticket for right before or after the busy season. Being in college has its perks! 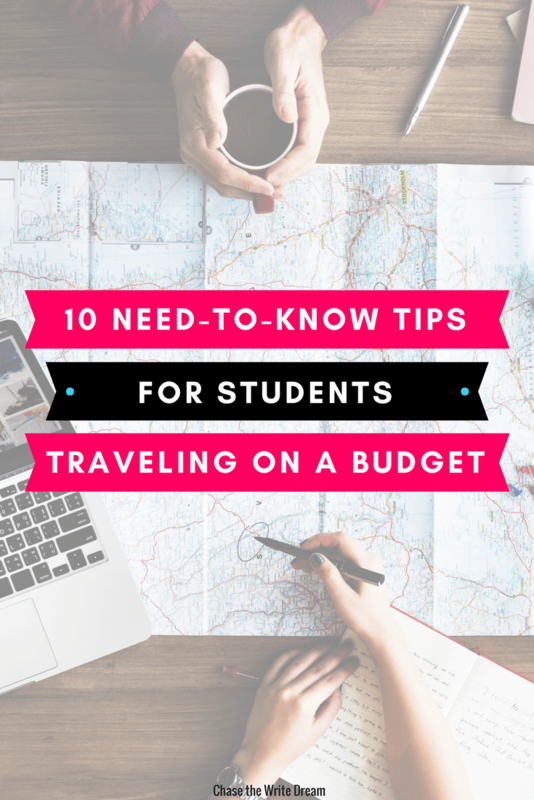 There are tons of student-focused travel agencies out there to help ease the stress of planning. They help bundle your activities and get you discounts on things like flights and rail passes. Don’t be afraid to flash that student card while you have it and rack in those easy discounts. One fulfilling way to travel is to volunteer. A lot of programs will feed and house you in exchange for your time. This leaves you to pay for your plane ticket and other little expenses once you arrive. You could help out a local farmer, build houses or even help care for baby sea turtles! This is a great way to save some money while paying it forward. Let’s face it, no matter how much research you do, you’ll never completely get off the “tourist track” without a little help. Getting to know the locals is a great way to learn about their city’s hidden gems. And often times, the less touristy sites are more affordable. You could also take advantage of meet up sites that match you with someone willing to give you a place to sleep. Just be sure to proceed with caution. Confirm their identity through Facebook beforehand. Sure, it’s not as comfortable or luxurious as catching a flight to the next country over, but traveling by train and bus is going to save you a ton of money. Plus you’ll get to see a lot more of the landscape and get the opportunity to visit little cities you wouldn’t have seen otherwise. . . .Use your resources! Even if you’re flying solo, there’s so much you can learn by asking your well-traveled friends for advice. If you’re going with a travel buddy, lean on them to help you work out the nitty-gritty details. And it definitely doesn’t hurt to talk to a school advisor if you’re going the study abroad route. Aside from planning and packing smart, there’s not much than can stop you from having a great time. My last bit of advice is to spend moments disconnected from technology. Slow down and appreciate the new things around you. Veronica Baas is a recent Colorado State University graduate who has recently moved to Phoenix for her first after-college job offer doing basic coding and content creation. She has spent her life traveling as a pilot’s daughter and lived in the U.K. as part of a study abroad program. Veronica loves the Oxford comma, men in khaki pants, and a full gas tank. She dislikes dog hair on black dresses, her addiction to technology, and most mornings. Follow her other writing and photography endeavors on her website!